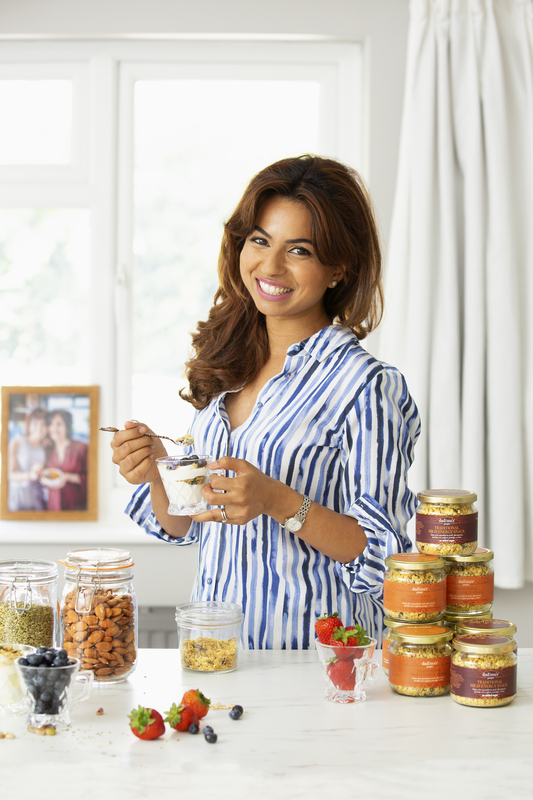 Anni is founder of dadimas, (which means grandmother’s), a heritage food brand she launched, inspired by her grandmothers life and culinary skills which she experienced first-hand growing up in an extended family. She felt so inspired by this that despite having studied Spanish and English Literature at University, getting a graduate position in the corporate world, and not being a qualified chef, she followed her passion to launch dadima’s. Read her insightful interview on how she did it, what advise she has for others and how to overcome setbacks. 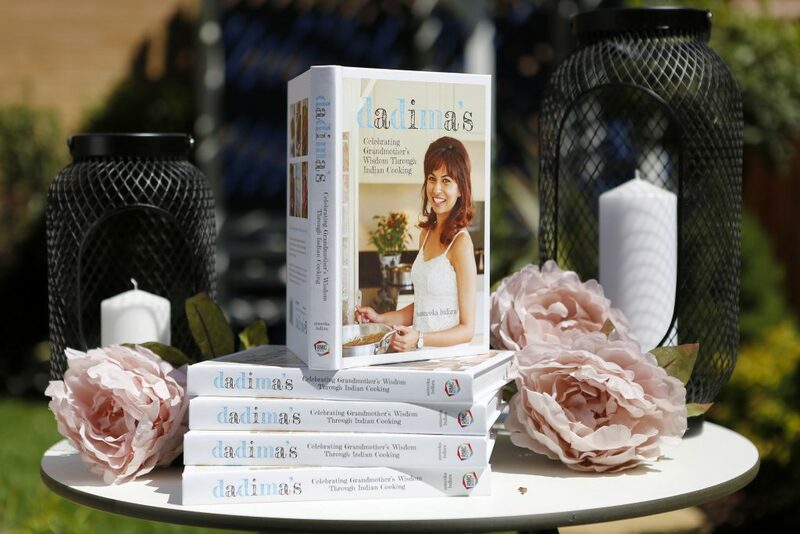 Dadima’s (written with an apostrophe to acknowledge the uniqueness of each grandmother) was inspired by my grandmother’s life values and culinary skills, which I experienced first-hand growing up in the extended family. I’ve always been very close to my grandmothers, and along with my parents, they’ve shaped my outlook on life. I created dadima’s in order to preserve knowledge from grandmothers which is at risk of being lost if we don’t listen and learn from them. My aim is to connect generations through my products and services. 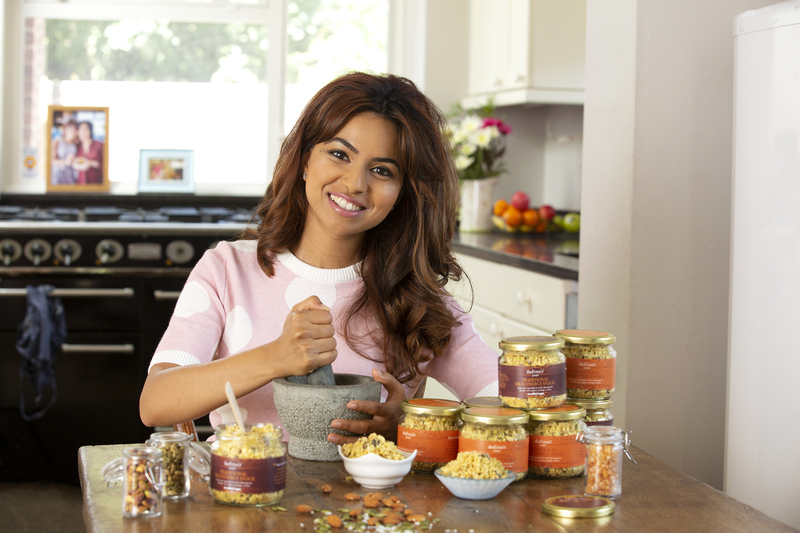 I’ve written a memoir cookbook, and just launched my first food product – an age-old, Ayurvedic energy snack called panjiri. 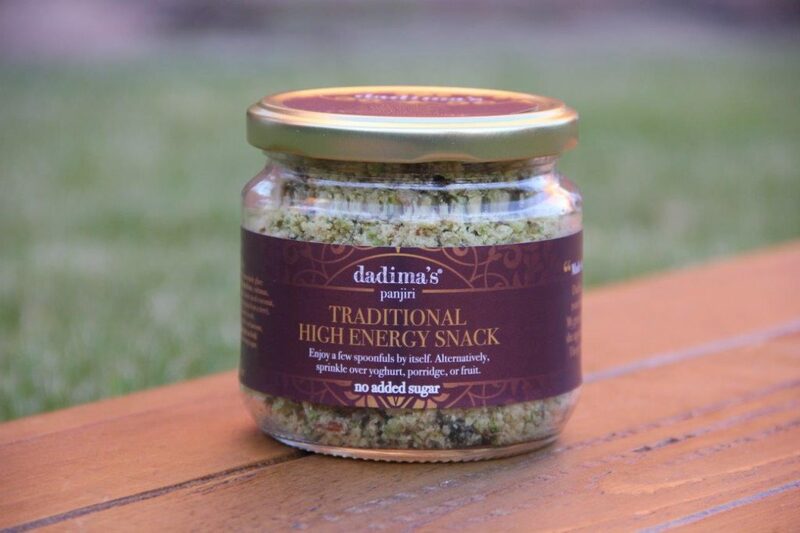 This is my dadima’s secret recipe and I’ve been busy at various events launching this. I’m currently working on building my brand alone, with some amazing help from my family on the side. 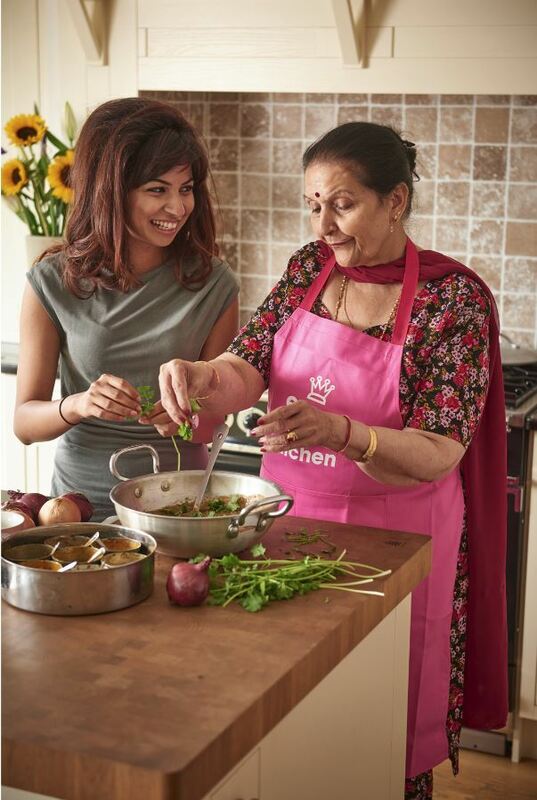 I do live food demonstrations, run ‘cook like a dadima’ bespoke cookery classes, host community events for grandparents & grandchildren, and run food workshops in schools to share the dadima’s message and love for home cooking (all part of my grandactions campaign to connect generations). I’m not a qualified chef, but I have a passion for home-cooking, writing and blogging, and learning from the older generation. My degree was actually in Spanish and English Literature, which I really enjoyed studying. I love the Spanish culture and language, and have made some amazing Spanish friends. In my ‘free’ time (I don’t seem to have much of it), I just like simple comforts like spending quality time with loved ones, watching a movie, and walking in nature. There are so many elements of life which inspire me – from tiny flowers in the park which survive a blustering storm, to people who have turned their life around through challenging circumstances. I think that if you go about your day with a sense of appreciation and gratitude for the small things, there’s lots to be inspired by. I’m particularly inspired by people who have grown through their hardships, and found solutions to problems – this is why the grandmothers that I have met, inspired me so much. Their stories help to put modern day challenges into perspective. My parents are always an inspiration, as they have achieved so much coming in their personal and professional lives, coming from humble roots. I don’t read as many books as I used to or should. I seem to be reading more blogs these days as I’m focussing on building dadima’s. I still love dipping into the fictional classics that I read during my degree – including Wuthering Heights and The Tenant of Wildfell Hall, for example. I was fascinated by the Brontë sisters as they crafted such imaginative stories, yet lived very sheltered lives. The Tenant of Wildfell Hall addressed quite taboo subjects for its time, to include abusive marriages and a wife leaving her husband. I inspired my father to read Wuthering Heights after we watched the film together, and it was a great point of bonding and conversation for us. What purchase of £100 or less has most positively impacted your life in the last six months? I spend a lot of my money on quality food and going out experiences. I recently signed up for the annual membership at the Victoria & Albert Museum, which includes bringing a guest. It’s been a great way for me to spend time with special friends and family, whilst also checking out amazing exhibitions like the Frida Kahlo one – who I studied as part of my degree. How has a failure, or apparent failure, set you up for later success? I think setbacks are an integral part of growth, and in my life I’m grateful for two major setbacks. As someone who is a high academic achiever and has traits of perfectionism, and high self expectations, ‘failures’ (or lessons) have taught me that I don’t have to be amazing at everything and that it’s just not physically possible! One of my favourite setbacks is when I applied for the position of Head Girl at school, and didn’t get through despite giving it my all. I was reliably informed at a later date, that that the pupil had already been chosen and that the formal interviews were ‘just for show’. I felt really disillusioned by the experience and lack of ‘equal opportunities’, but it was a good lesson. It made me realise that things aren’t always fair in life – a lesson that my dad always stressed. Another favourite obstacle was when I went through to the final stages of my interview at Oxford University and was not granted a place because other candidates scored higher. I was reluctant to apply in the first place, but my school teachers encouraged me to apply as I was one of the few students in the year who qualified. When I didn’t get through, I was devastated – I remember running up to the bathroom and crying my eyes out thinking how I didn’t do enough prep. With hindsight, it was an incredible experience to have stayed at the university and gone through such a grilling of tests and interviews in English and Spanish. Now, I would not trade my experience at Royal Holloway for the world – I was able to do the exact course I wanted, live in Spain as part of my degree. and the cherry on the top – I met my best friend. If you could have a gigantic billboard anywhere with anything on it — metaphorically speaking, getting a message out to millions— what would it say and why? “The things that matter in life are not things – focus on your health and wellbeing, and always think and speak well of others” [My dadima]. This is something my dadima has always said to me (I’ve loosely translated it from Punjabi) and it’s a thought which grounds me. Dadima will never gossip about people and talk ill of others. She believes in the laws of karma and her prayers give her incredible faith. In terms of work, I’m a firm believer that things don’t just fall into our laps – we have to go out and get them, and keep going until all options are exhausted. Successful journeys take time, passion and real effort, along with sacrifices. In the last 2 years, what new belief, behaviour, or habit has most improved your life? That’s a good question as it’s been about 2 years since I officially started my journey on dadima’s brand. Building a new brand from scratch is challenging and comes with its fair share of curveballs and stresses. A new behaviour that I’ve learnt is to be thick-skinned (almost rhinoceros-skinned as my mum calls it), and lose inhibitions when I have to pitch my brand or product. It’s significantly improved my work life as I think of the positive outcomes. I ask myself ‘What’s the worst that can happen if I try this out?’. If I am not causing harm to anyone and putting out a good thing, I go for it! What advice would you give to a smart, driven college student about to enter the “real world? What advice should they ignore? My advice would be to try and be yourself as much as possible when you start a new role. Set yourself high standards to feel inspired by and challenged, but don’t run the whole marathon early on and suffer from ‘burn-out’ too fast. In my experience, going straight from university into a very busy Graduate Management job, I was keen to impress and would work silly hours to go over and beyond my call of duty. After a few months, I realised that I wasn’t actually being that efficient with my time, and I had a very limited social life. I was making too many sacrifices in my personal life which were not healthy for my sense of wellbeing. Make sure that you build in exercise to your weekly routine, and make time to cook healthy home-cooked food, however busy you are. I used to food prep in bulk as much as possible on Sunday. When you feel overwhelmed or unfocused, or have lost your focus temporarily, what do you do? When I feel overwhelmed with dadima’s work in particular, I remind myself of why I started the journey. I look through early photos or diary notes, to re-ground my vision. I’ve felt really overwhelmed during the first year as it was so lonely working alone, almost seven days a week. When panjiri order and events were taking off, I couldn’t physically do it all alone and needed help from my parents. I hate asking for help but as a new start-up, you need to draw on people otherwise you will burn-out. I enjoy reading the lovely comments and private messages on my instagram account, and go for a walk in nature to help refocus my mind. Exercise always helps me, as does going to a nice coffee shop. I have established a good network of grandmothers now in my social circle, and they are always happy to listen and offer advice. Their words of wisdom are calming and put things into perspective very quickly. Tell us something that would surprise us about you? I have a serious weakness for bakewell tarts and when I visit my nanima in Nottingham, she buys me boxes of them as treat! Whats been the biggest challenge you’ve overcome? Taking dadima’s idea from seed to reality. It’s been a lonely and exhausting journey, but I’m starting to see some light. What would be your message to the AWMB community? Keep supporting and encouraging one another in the incredible community you have established. Work with each other to grow, and in the process, you will grow yourself and be a happier person. Give back to others and the community, as you will feel a real sense of satisfaction in that. When I become more established one day, I’m keen to be there for other women at the start of their journeys, as it can be a really lonely and isolated space.